Running a car shop or Automotive business? Looking for more profits? Become a dealer for us! This is the best tool to start for your business. The Slave version of the tool allows you to be linked to a MASTER tool sharing the information privately while utilizing the encryptions unique to each Master tool. Whether you are looking to create a Tuner network where your Master will manage file supply to any number of Slaves; or if you want to be a Slave that is connected to an existing Master network of available tuners; either way, Alientech tools allow for flexibility and growth of your business. Writing the flash is always accomplished, even in the event of PC malfunctions. 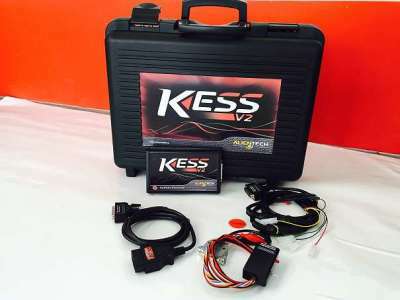 When using KESSv2 you will have security of checksum correction as a standard feature as well as the supplied K-Suite software will also eliminate any concerns about proper connection to the ECU by including a step-by-step procedure with pictures.